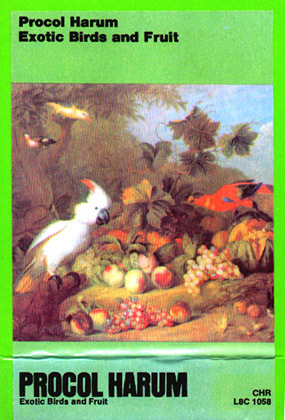 Exotic Birds And Fruit was recorded during the winter of 1973 / 74 at AIR Studios at a period in British history when a three–day working week was imposed. A studio generator had to be cranked into action in order to complete the album for its scheduled release in the Spring of 1974. 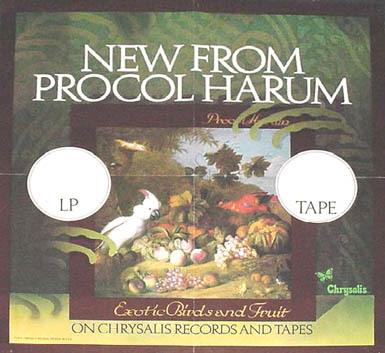 Produced by Chris Thomas (his fifth for Procol) this album was a definite "let's get back to the rock songs album", as stated by Procol's Gary Brooker in 1974. "Is it 'on' Tommy? ", inquires Brooker [sic!] of the producer at the front of the opening track, Nothing But The Truth, before the song bursts to life. Yes, indeed it is! And UK rock DJ John Peel made it a Single Of The Week in his Sounds newspaper column on April 6th 1974, and described it thus, "It's all meaty positive stuff with some fine drummery ... There's a latent power too, something like a huge engine cruising. Often the impression of restrained power is more exiting than the vulgar demonstration of that power. Such is the case here. There is an orchestra (the only instance on this album) on the strength too, but it never intrudes as the side builds with subtlety and energy. A fine single!" Beyond The Pale carries the momentum of the album forward almost in the spirit of a German drinking song, with a driving rhythm provided by a combination of plink(! )ing piano keys, banjos and bouzoukis. According to lyric writer Keith Reid, "It's a toasting song to all those in search of something that they will never find. They who continue to look for looking's sake!" It was evidently inspired by an old Nordic folk song: "Who Will Search For Holy Grail?" As Strong As Samson is one of Reid's finest sets of lyrics, and it is Reid at his most cynical too. Steve Clark made it his Single Of The Week in The NME on January 7th 1976: "The pedal steel (from guest B.J.Cole) half way through contrasts well against the stately keyboards of Gary Brooker (piano) and Chris Copping (organ). And there's the acoustic guitar finger picking which appears with a marked clarity seconds into the record... A fine, fine record!" The Idol is also Reid at his best: "Just another idol turned to clay". As Reid stated in 1974, "It's concerned with anybody who desires something or somebody enough to worship it. But then realize that it's not as magical as you first thought". The Thin Edge Of The Wedge features some fine guitar licks from Mick Grabham, and Monsieur R Monde is a reworking of a 1967 song which was unreleased until it surfaced as Monsieur Armand on the Castle / Dojo compilation Procol Harum – The Early Years. 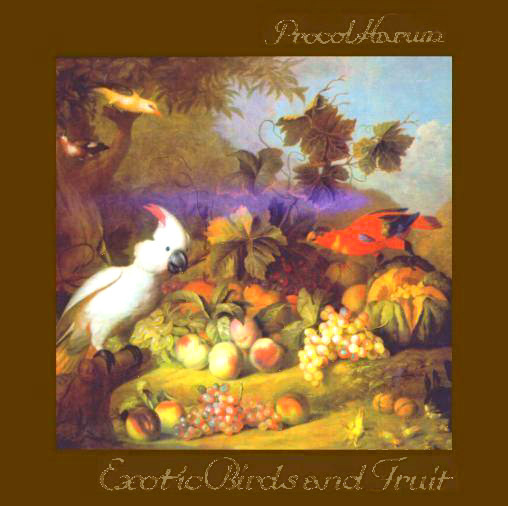 Fresh Fruit is a ditty which recalls the earlier Harum song Mabel, whilst Butterfly Boys with its brilliant driving Hammond and guitar work is a song which works better as a live number. Finally New Lamps For Old draws the album to a close. It's a reflective song which is metered by the late BJ Wilson. Just listen to the way he helps the song to conclude. It is the work of a great percussionist. 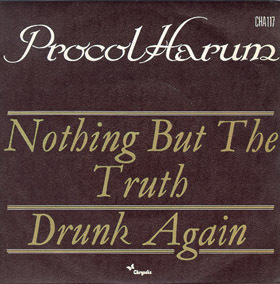 Drunk Again is a bonus track – originally a B side! The album that you are about to listen to has not been available as a CD until now.